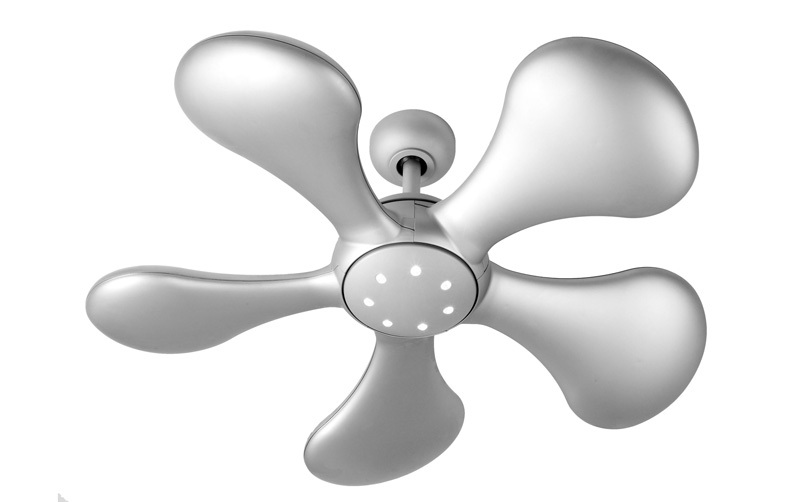 For contemporary ceiling fans, Angelo's stock a wide range of elegant styles from our London showroom including designs built with and without lights. 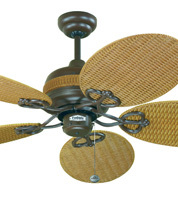 Ceiling fans are ideal for cooling in summer and help circulate warm air in winter. 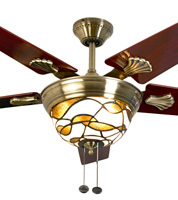 They come in contemporary, modern and traditional designs and are available in a host of different materials including metal, chrome, brass, frosted glass, cast iron, wicker and wood. 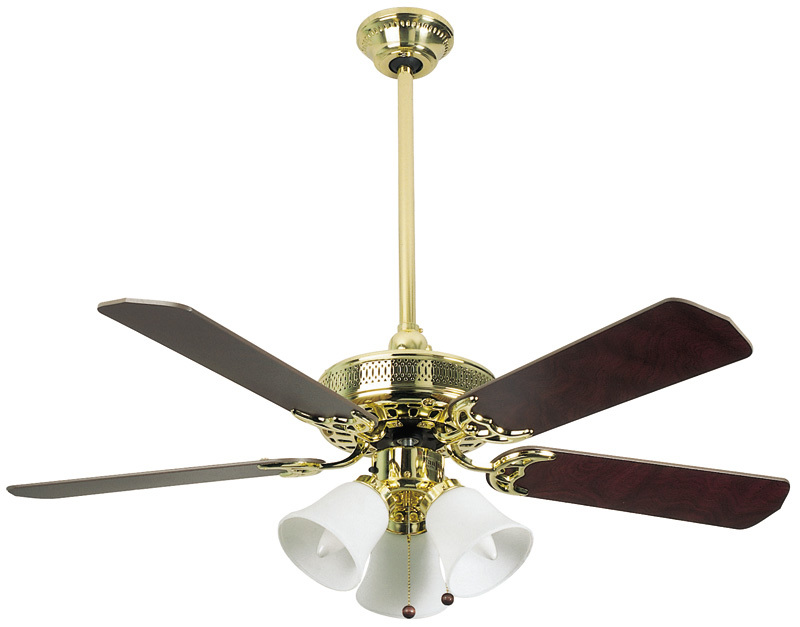 We have a wide selection of ceiling fans for all areas of the home and from a number of different manufacturers such as Hunter Fans, Emerson and Regency Fans. Our fully comprehensive range is designed to suit all budgets and just a fraction of these can be seen here. 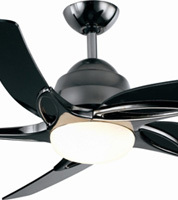 However, to view our complete collection of ceiling fans visit our London showroom in N8 and we will be happy to help. 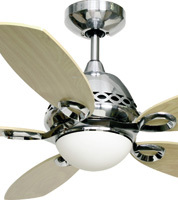 Ceiling Fans London – click here to view the location of our lighting showroom in north London. 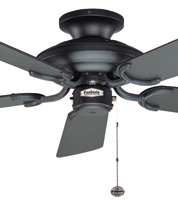 Use in summer for cooling and in winter to re-circulate warm air. 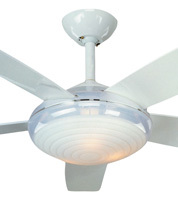 All our fans come with lights or without, and in a number of different sizes. Call us on 020 8482 2688 for more details. 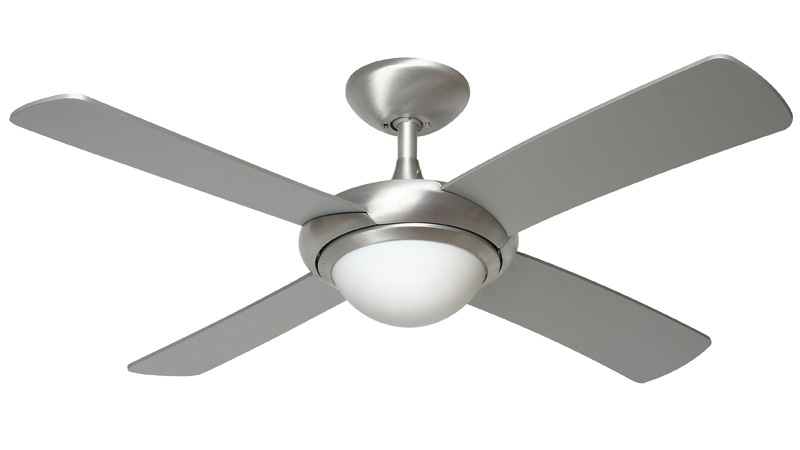 Ceiling fans are usually powered by electricity and use rotating blades to circulate air. 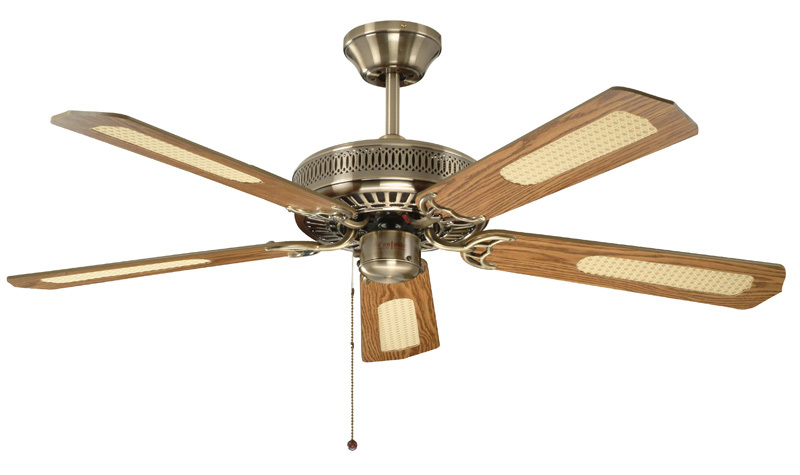 The first ceiling fans came about in the United States in the 1860’s and 1870’s and were powered by water instead of electricity. 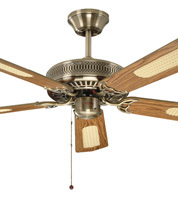 Philip Diehl in 1882 designed the first electrically operated ceiling fan which had two blades, instead of four. 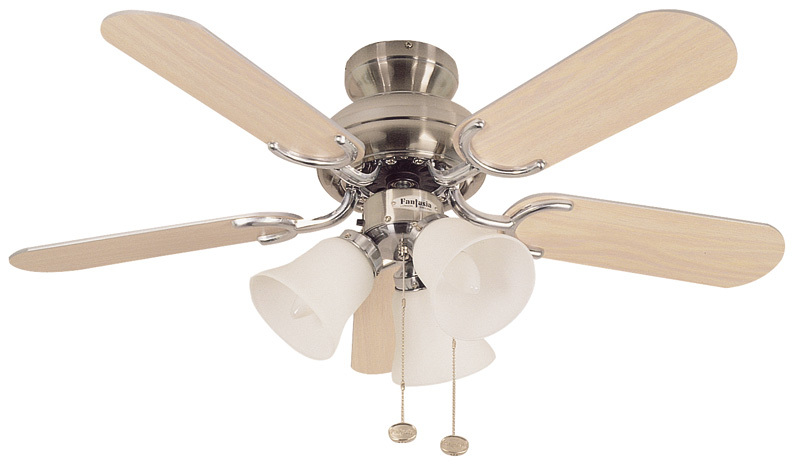 He later he introduced a light to the ceiling fan so it could perform both functions, to circulate air and also light up the room. 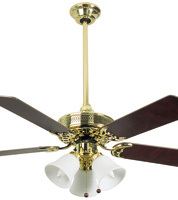 Ceiling fans are an alternative to air conditioning units, which are cheaper to run. They help to cool the body and speed up the evaporation of sweat. 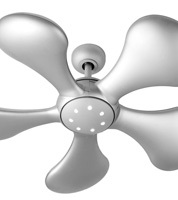 They can’t be used as an alternative to air conditioning as they don’t chill the air, only circulate it. 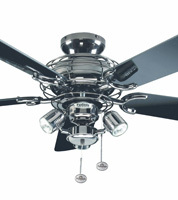 However, if used with an air conditioning system they will further help to disperse cool air to every part of the room. 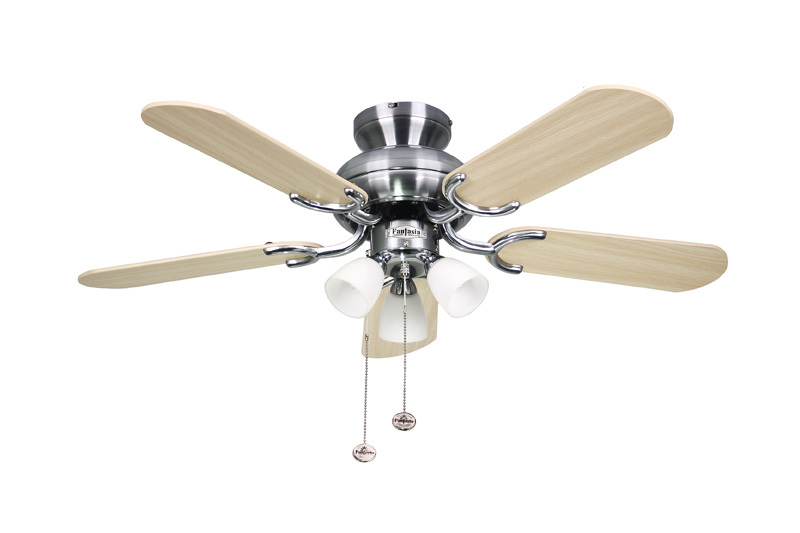 Since the turn of this century the ceiling fan has become more decorative with increasingly modern and innovative designs. 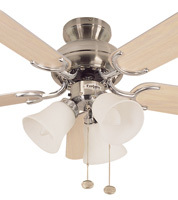 Typically ceiling fans have four or five blades although it is possible to have eight or more blades. This type of cooling system usually works with the use of a chain or chord pull which turns it on or off and provides three speeds: slow, medium and fast. Some also operate by wall control or with a remote control. 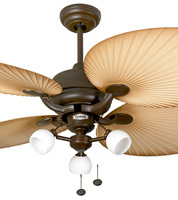 As a general rule ceiling fans should blow air down in the summer so they can direct air onto the body. 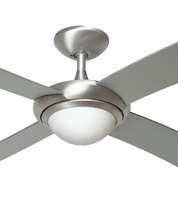 They should do the exact opposite in the winter to circulate heat by replacing warm air on the ceiling with cooler air (as heat rises). 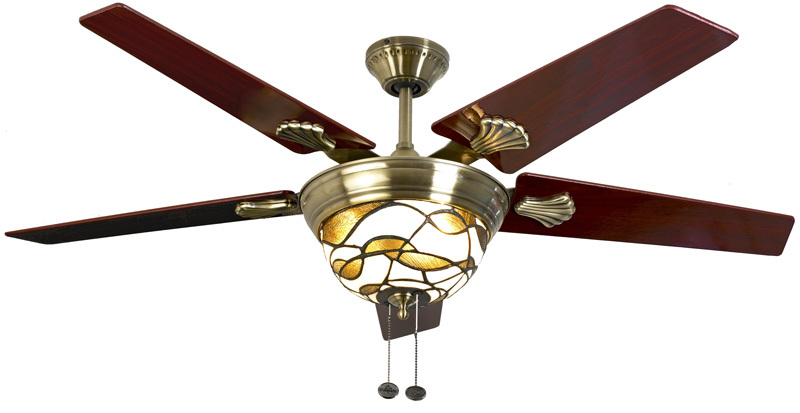 Ceiling fans serve a dual purpose, they are decorative as well as functional and come in many different styles including oriental style ceiling fans, sleek minimalist designs, to the more elaborate and decorative styles such as ceiling lights with tiffany-style lights. 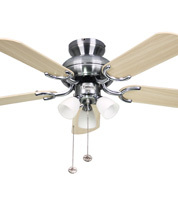 There is even an innovative state-of-the-art ceiling fan which was produced by the Hunter Fan Company in 2009. 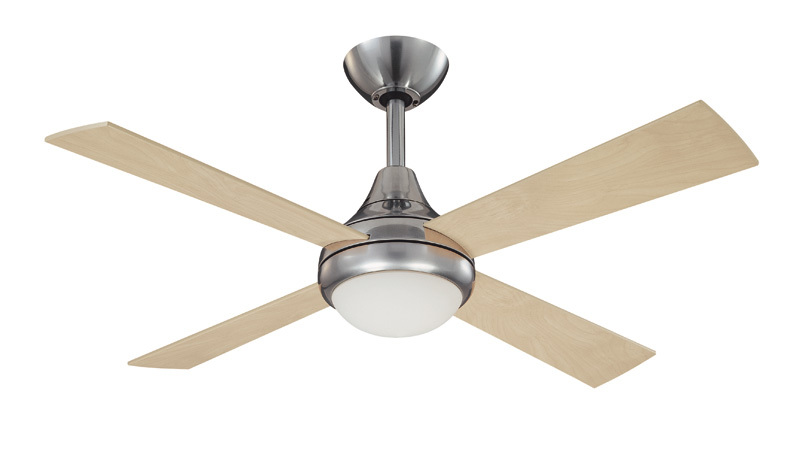 This is a speaker/fan combination which is designed to project music around the room. 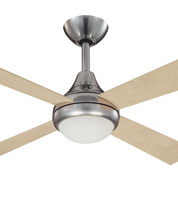 Where are Ceiling Fans Used? 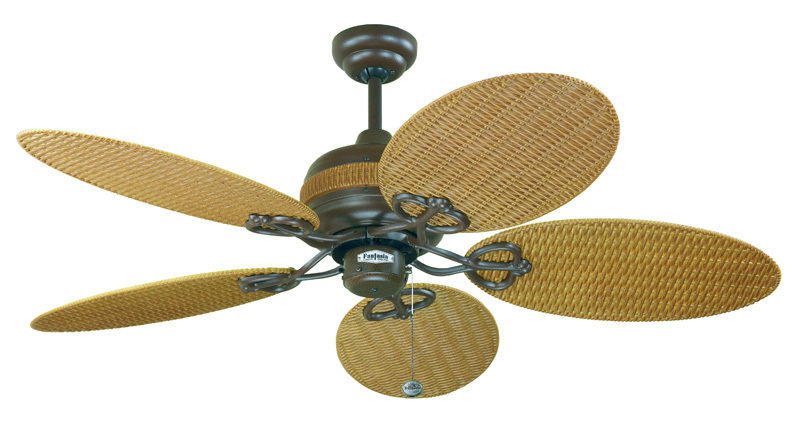 Ceiling fans are typically used in the sitting room, but they are also handy for bedroom, playroom, games room, home gym or conservatory or summer lounge. 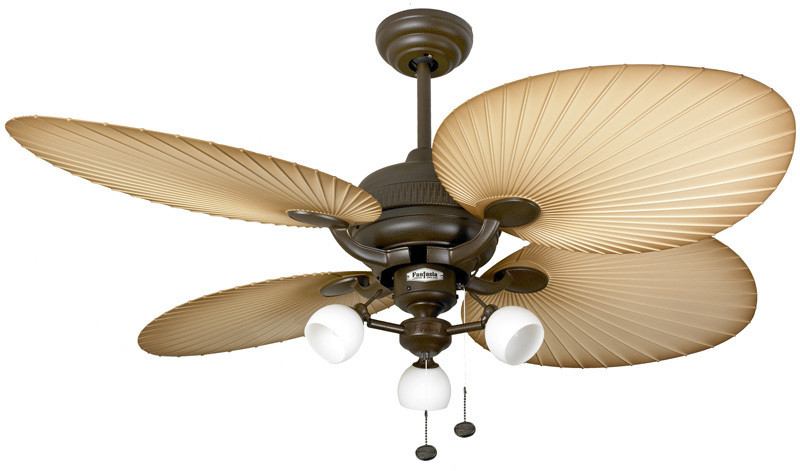 One of the beauties of ceiling fans is that used together with a light they project shadows on the ceiling giving a stunning effect.